This church was organized in Feb., 1880, by the Rev. B. B. Hamilton, of White Hall, and James Haycraft, of Medora, with the following members: Henry Stout and wife, A. J. Wright and wife, Jerry Bethard and wife, James Bethard, William P. Parker, and Andrew Cage. 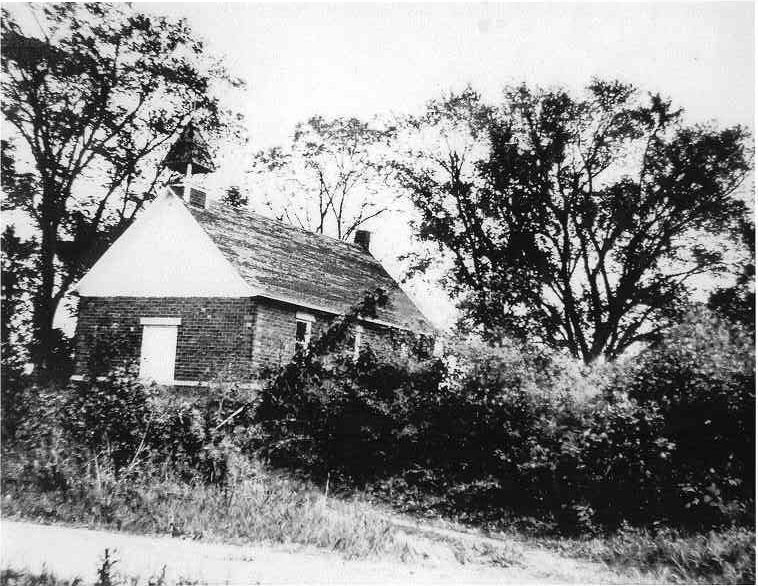 The first officers of this little society were Jerry Bethard, deacon, and James Bethard, clerk. Rev. John Bush was the first minister, and remained until in Sept., 1882, since which time Rev. J. P. Alexander has been the pastor. A. J. Wright and Jerry Bethard are the present deacons, and Francis Bell is clerk. At present the membership amounts to about 30. 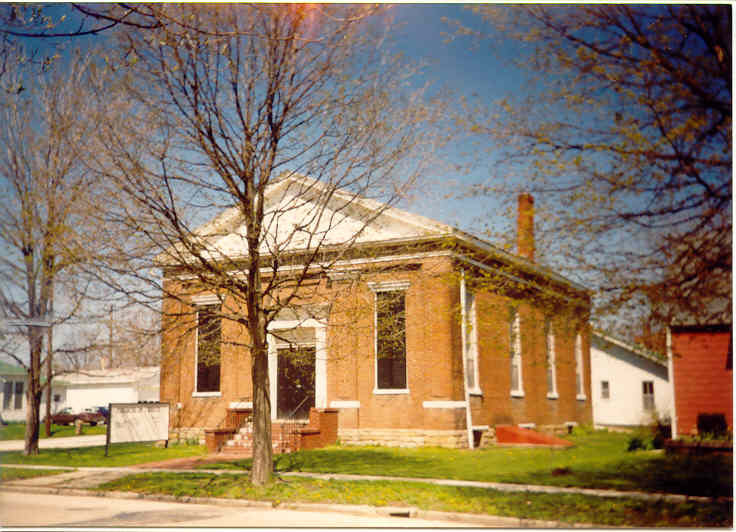 They meet in the Temperance hall, which was built in the spring of 1880, at a cost of $965, and is 24x40 feet in size. Present membership, 75; Bible school enrollment, 60. Carrollton. Organized 1832, by Barton W. Stone; present membership, 90; value of property, including parsonage, $4,500; Bible school enrollment, 70. The church grew for several years, coming to number 120 members. Then it waned through deaths and removals. In 1841 a second start was made with twenty-eight members. Its life has moved like the tides. All of the early pioneer preachers of that section served here more or less. Col. E. I). Baker became a Christian here. Many fine people have had their homes in this church. Present membership, 100 (conservative). Roodhouse. Organized 1890, by H. G. Van Dervoort; present membership, 138; value of property, $7,400; Bible school began 1890; present enrollment, 100. Among the charter members there were Mrs. R. A. Young, Samuel and Sarah Long, Mrs. M. E. Briggs and Mrs. Wm. Heaton. The house was built in 1894. Organized 1854, by John S. Sweeney; present membership, 40; value of property, $1,500, no Bible school. This is in the northeast part of the county. Among the charter members there were E. T. Venderveer, John Barnett, Benjamin Scott, Sr. and Jr., and Edward Prather and wife. J. S. Sweeney held a series of meetings here in 1857, adding one hundred. In 1868, Min. E. P. Bellche debated John Hughes, Universalist, in this chapel. Leroy Pippin is the correspondent. 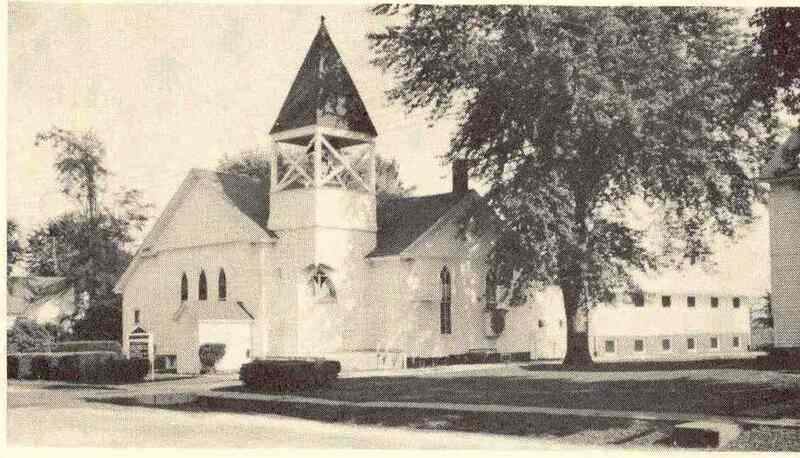 Organized 1883, by W. S. Jermane and J. J. W. Miller; present membership, 230; value of property, $6,500; Bible school began 1884; present enrollment, 170. There were twenty-two charter members. A small chapel was bought of the Free Methodists and used till 1903, when the present brick edifice was finished. The present elders are Francis Fowler, W. H. Teter and G. J. Harris. Extracted 16 Mar 2019 by Norma Hass from History of the Disciples of Christ in Illinois 1819-1914, by Nathaniel S. Haynes, published in 1915, pages 210-211.